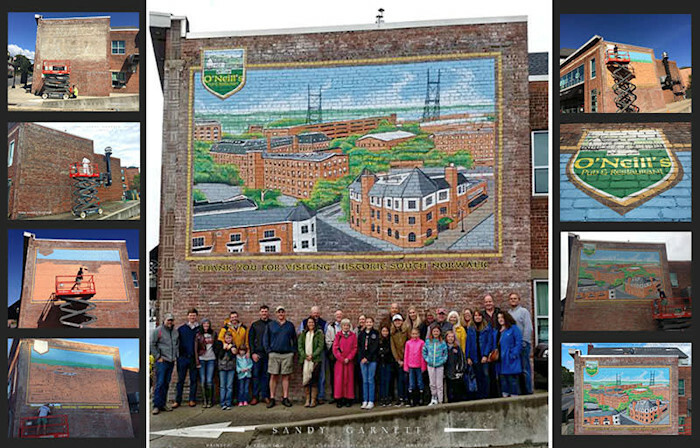 O'Neill's Mural, 2016, exterior latex on brick, 15 x 20 feet, designed and painted by Sandy Garnett. 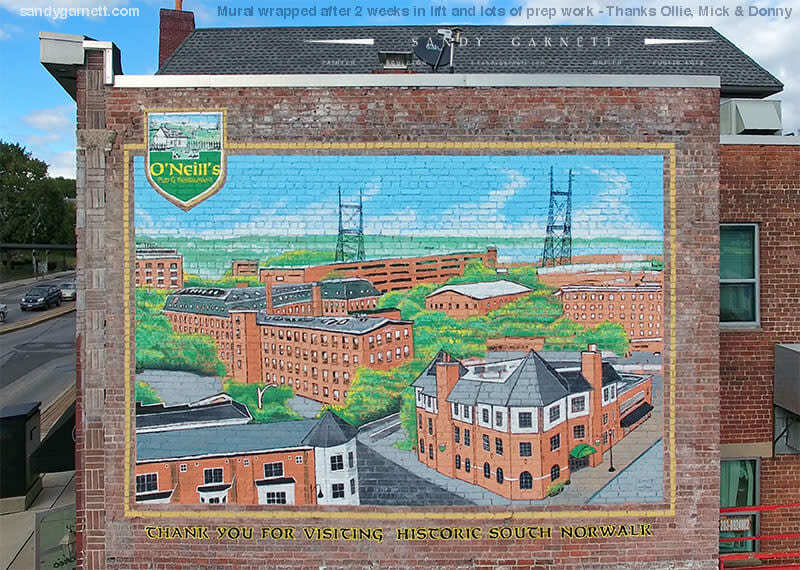 O'Neill's is the artist's local bar. Budget $20,000.